A lady of the night needs a man to facilitate their transactions of transgressions. And no matter how liberated or independent today’s female preachers seem to be, they need men in positions of authority to assist them in their sin of leading astray the church’s more vulnerable and impressionable weak women (2 Timothy 3:6). For the most atrociously inept and theologically deficient prophetesses, they have Ed Stetzer as their pimp and hustler, giving them a platform and theological streetcorner to stand on and propagate their false doctrines. Stetzer, who proudly and defiantly helped to turn Lifeway Christian Resources into the world’s largest retailer of heresy during his tenure in the Southern Baptist Convention, is now opening the door to a whole new harem of false prophetesses and turning Wheaten College into a brothel of bad teaching. 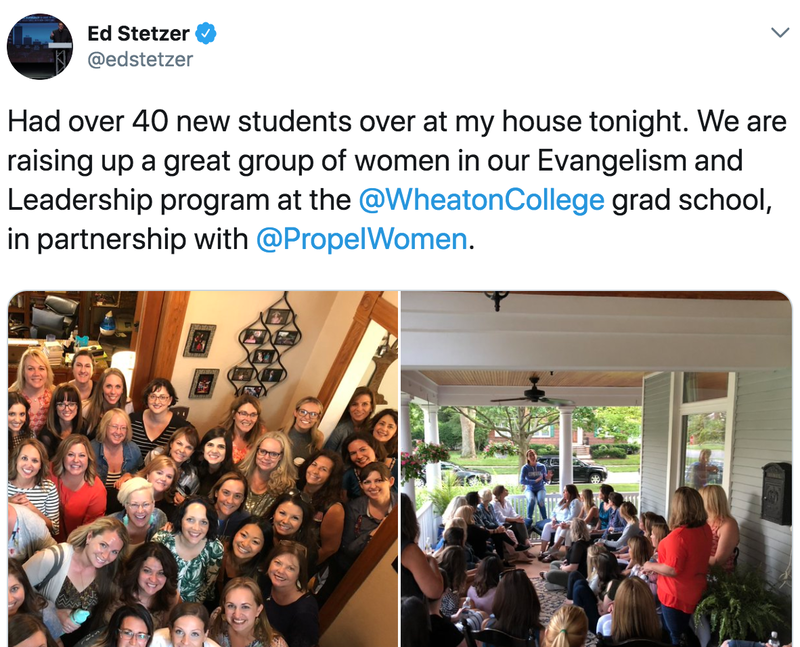 Wheaton College, with Ed Stetzer serving in the Billy Graham Distinguished Chair of Church, Mission, and Evangelism and as the Executive Director of the Billy Graham Center, is partnering with Propel Women. Propel Women is an Egalitarian-focused women’s ministry (best characterized as Moralistic Therapeutic Deism), founded by Christine Caine and steeped in the Hillsong variety of the prosperity Gospel and Word-Faith Theology. Joyce Meyer has been a keynote speaker at Propel in the past. Propel is the theological equivalent of the human papillomavirus, a serious communicable disease transferred among women (often without their knowledge), spreading a self-centered, naricigetical, feminist, emotion-fueled ideology and a painfully low comprehension of the Bible. It certainly would be a significant development for Hillsong’s Word-Faith prophetess to be able to coup a large and prominent evangelical institution like Wheaton. It would certainly give Caine credibility that, heretofore, she does not enjoy outside hyper-charismaticism and prosperity gospel circles. 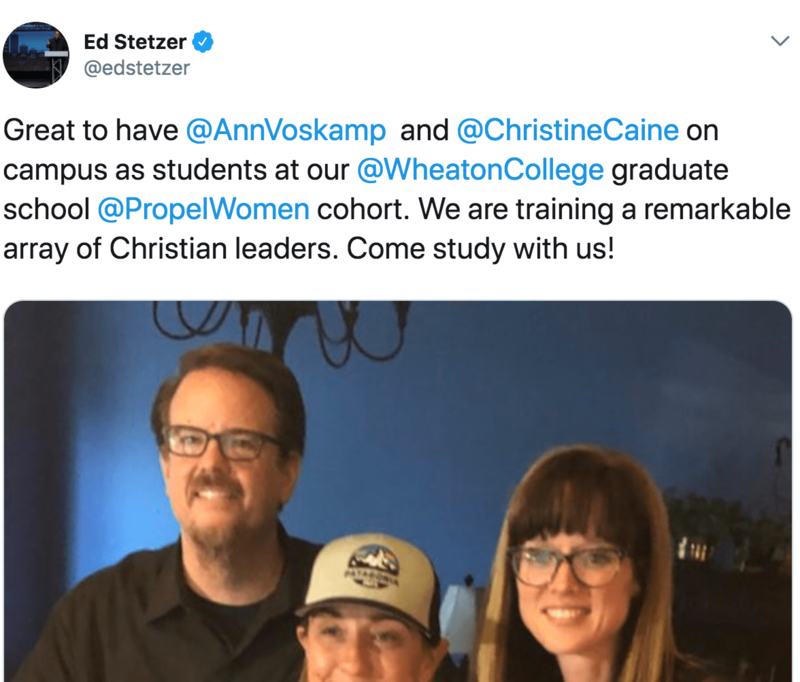 Along with Caine, Stetzer apparently invited theoerosism heretic, Ann Voskamp, who has written a popular women’s devotional in which she speaks of “making love to God.” Wheaton is currently a very, very dangerous place for Christian women. Setting up shop on his porch like an impromptu bordello, the prophetesses (who claim to hear direct words from God) met at Stetzer’s house. Sadly, these women have been provided the very worst of teachers as their muse. One can only imagine the type of female “minister” will be unleashed upon the world in this generation. The future of evangelicalism will look very much like the testosterone-heavy, short-haired United Methodist female bishops who preside over primarily dying congregations. 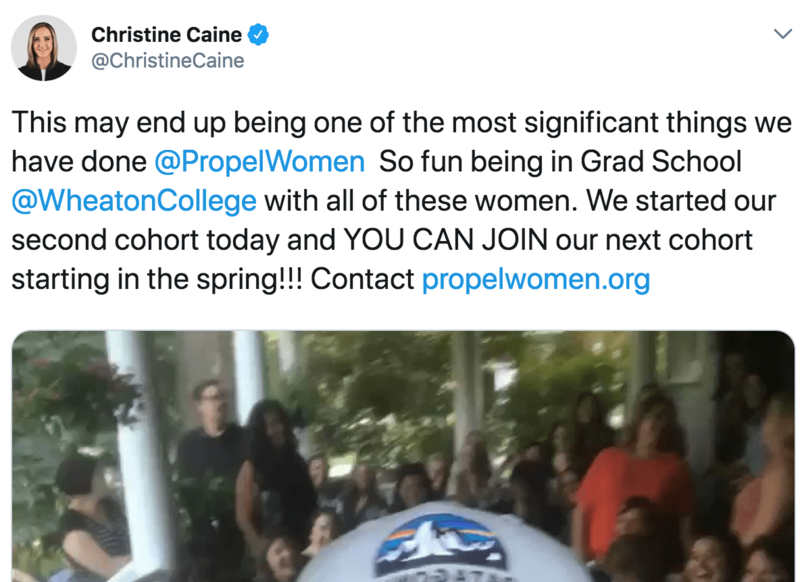 In reality, that Stetzer would expose Wheaton women to Christine Caine and Ann Voskamp is incredibly sexist and paternalistic, exposing the soft bigotry of Stetzer’s lowered expectations. No male seminary students would be exposed to teachers of such dubious or non-existent theological credentials or the rambling, incoherent babble of self-ordained prophets. But for women, bless their heart, it’s good enough. Previous story Did You Do Drugs with Todd White?